New Zealand’s Steiner School Certificate – a World First! After two years of concentrated work the Steiner School Certificate has now achieved full approval from the New Zealand Qualification Authority. This is a major breakthrough in the recognition of Waldorf Steiner education in New Zealand for not only serving as an alternative education model but of also having academic equivalency with state and international certificates, such as the National Certificate of Educational Achievement (NCEA) and the International Baccalaureate. The courses covered by the Certificate have now been registered as providing quality assurance with regard to course structure, assessment rigour and national consistency. range of state school subjects such as English, the Sciences, Mathematics, and the Arts, as well as validating the significant extra effort required of Steiner students to publish independent research projects, be involved in school and community events such as drama and outdoor activities and so on. As a result, and in addition to this, the representative body for New Zealand’s eight universities – Te Pokai Tara, has also approved the certificate, which means that students who have achieved a Steiner School Certificate in Class 12 at Level 3 may be admitted Ad Eundem Statum (with equivalent status) to any of those universities.The certificate will provide a protective framework around the Waldorf curriculum and provide a state recognised pathway for Steiner School pupils through to tertiary education. This is an enormous achievement for our Steiner/Waldorf movement and one that cannot be underestimated, especially in the light of the current ideological trends in our education system. I would like to take this opportunity to acknowledge and sincerely thank Donna Skoropada for her work in developing this qualification and to the qualifications committee members, Mark McGavock, David Stephenson and Des Pemerika for their work and contribution in this endeavour. 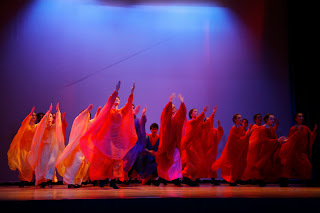 Eurythmy is an art form taught uniquely in Steiner schools around the world. 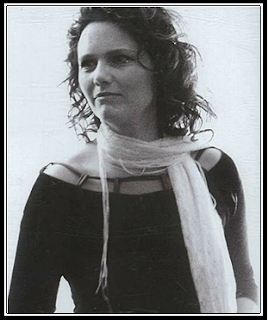 It brings music and poetry to expression through movements, gestures and colours. In order to do this the choreographer has to have a sensitivity for the archetypal qualities standing behind the flow of sounds or words and bring them to life in each performance. 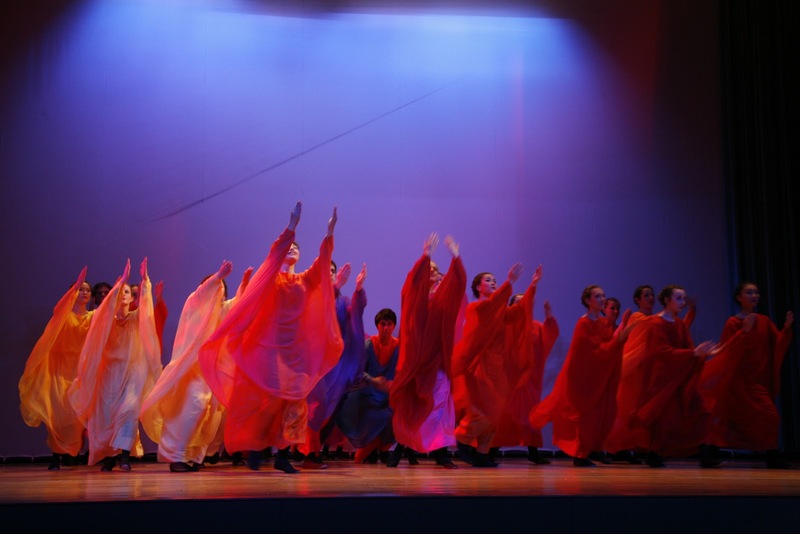 In Steiner education, eurythmy is seen as having value as an integrating experience for students, and it has also been developed as a therapeutic method that is applied by specialist practitioners. In 2012 San Francisco Youth Eurythmy Theatre are touring New Zealand. They will bring with them a programme devised by Astrid Theirsch and performed by 26 Upper School students who do Eurythmy as an elective. In past years the troupe has toured India, China, New York and Europe. 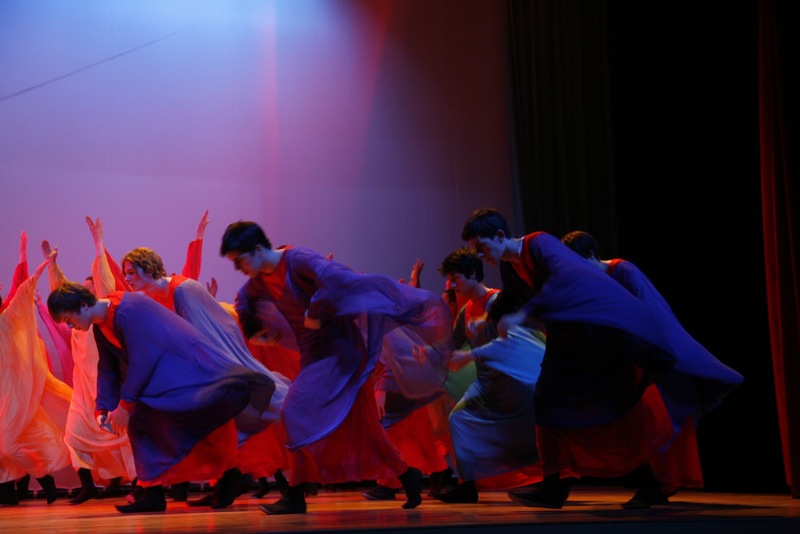 In this performance by the Troupe, eurythmy blossoms into a breathtaking art – pure poetry in motion! The new program will be premiered in February 2012 by the students who are 15 to 18 years old. It features choreography to music of Beethoven, Mendelssohn and Paul Winter. A special fairy tale, The Dream Eater by Michael Ende, shows the magic side of sleep. Poems in several languages and humoresques round out the program. 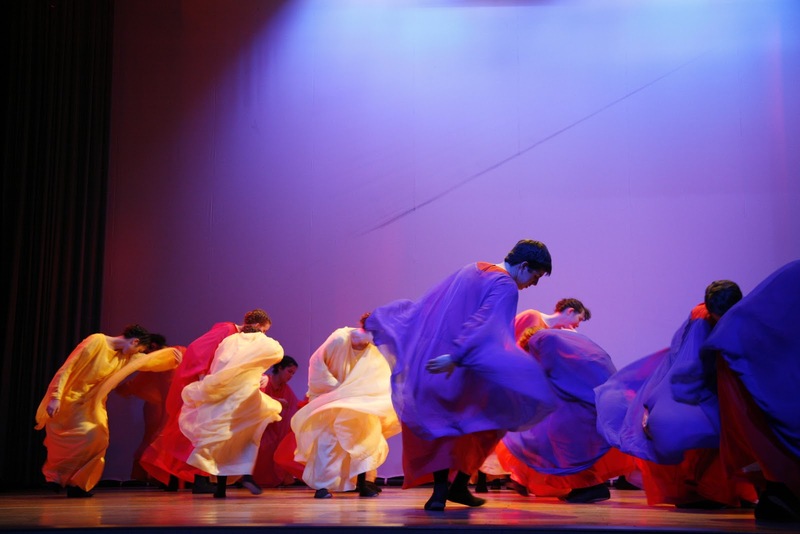 Delight in an experience of light, color, movement and music! The program is appropriate for all ages. Raphael House will host them Thursday 23rd and Friday 24th February. They will do two school performances in the Little Theatre on Friday and a performance for the wider community on Friday evening. They are not to be missed! Raphael House has always been keen to offer a curriculum that is as much as possible practical and connected with the wider world. Included in this vision are all the camps, work experiences, craft lessons and other 'Education Outside the Classroom activities. These experiences are a wonderful balance to the classroom work, and help enliven the head, hand and heart of each student. 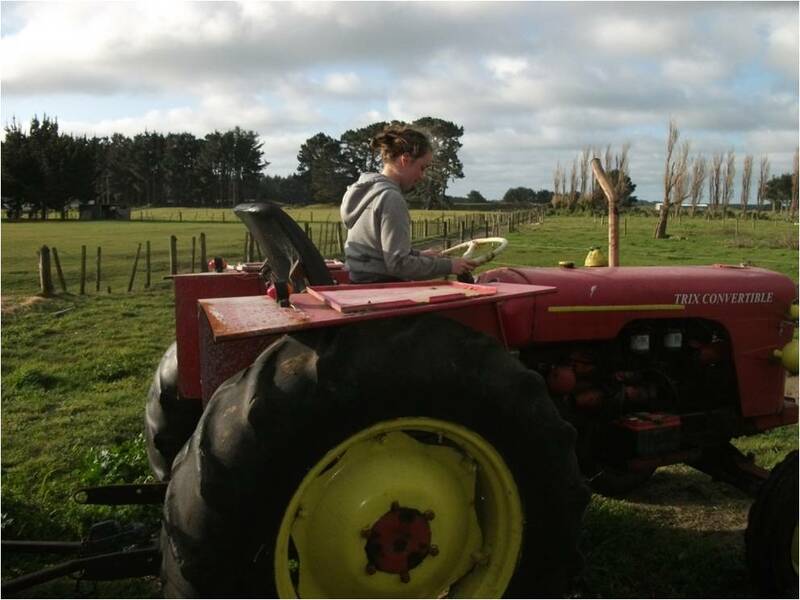 This year Class 9 were sent to 14 farm placements from Taipa Bay (Northland) to Pleasant Point, (South Canterbury), and from Waitara (Taranaki) to Gisborne. The experiences included potato planting and grading, composting, possuming, lots of calves for calfetarias, macadamias and avocados, milking at dawn, and evening, planting of trees, collecting eggs and feeding chickens. engaging, and having a great time in the spring. Many former students of the school have commented on the value of these camps and experiences, even when (sometimes especially when!) they have been quite challenging. We are very fortunate to have these opportunities at our school, thanks to the farm hosts and also to the dedication of our teachers who put in an extraordinary amount of extra after hours time to make such occasions possible. On a recent visit to the Lower School classrooms at Raphael House it was interesting to see the use made of good old fashioned blackboards. Teachers go to great lengths to create works of art simply with a set of coloured chalks, their own artistic skill, and their imagination. These images set the theme for the main lessons. As the blackboards are designed to fold out, they can still be used in the conventional way to demonstrate details of the lesson content without removing the artwork. What it must mean for the young child to gaze into these images, so lovingly and magically created by their teachers, is a question that you can ask yourself as you see the examples posted here. My guess is that they will help to foster a deep reverence for the subject, a delight in the world of colour, form and imagination, the enjoyment of unfolding narratives, and also a deep respect towards the teacher. A major highlight of the calendar at Raphael House is the annual Toy, Craft and Food Festival. This community event is a time where families, present and past staff and students and interested visitors gather together for a taste of the school culture. As well as a wide selection of food and refreshment, there are lots of fun activities for kids, gift and craft sales, displays, musical and other performances. A new activity this year was the climbing tower, supervised by ex pupil and climbing expert Frank Foster of Top Adventures. This hand drawn events board shows the artistic skill and care of presentation that is a hallmark of the festival. Cassy was a star performer as the ever popular 'pocket lady'. Take a lucky dip in one of those pockets for a surprise gift. These images can only give a small impression. We haven't shown the little peoples' room, cookie garden, live music, students' work exhibition, candle dipping and many other hands-on activities that gave the day its characteristic flavour. We hope to see you there next year! IMPOSSIBLE EXPECTATIONS: Monica Brice with parents and pupils of the Rudolf Steiner School in Lower Hutt. They are annoyed that they are having national standards forced on their school. Her kids are set to fail at school every year until they're about 11 years old – but mum Monica Brice couldn't care less. Along with 151 other Wellington families, Mrs Brice is imploring Education Minister Anne Tolley not to judge her children against national standards which she says will be impossible for them to meet. 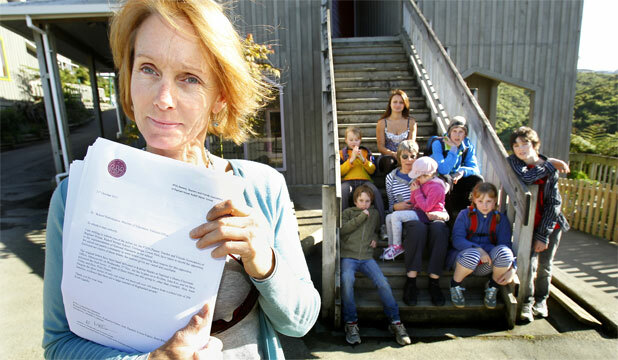 The parents of children at Raphael House Rudolf Steiner School in Lower Hutt are upset their school has to implement national standards, when the holistic philosophy of Steiner education means children do not start learning to read until they are seven. The focus in New Zealand's eight Steiner schools is on growing the child's mind, soul and body. Judged against state education standards, pupils would fail until they are about 11, when their reading and writing levels will typically match an average child's. "It's completely against the philosophy of our curriculum," Ms Brice said. "We would have to tell our children that they're not doing well, which would be terrible for their self-esteem and it doesn't help the parents. It's putting them in a box, when we're all individuals." Learning should not just be about intellectual development, but about meeting physical and spiritual needs, parent Catharina Fisher said. "Yes, you need to be able to read and write and do maths, but there's a tremendous amount more that you have to do to get by in life." However, the state-integrated schools have their operational costs met by the taxpayer, which means they must comply. Nationwide 55 schools are still breaking the law by not including national standards targets in their charters. The controversial policy benchmarks children academically against standards in years 1 to 8. Raphael House Rudolf Steiner School principal Karen Brice-Geard, who is on the Federation of Rudolf Steiner Schools in New Zealand, confirmed she was negotiating with the Education Ministry. "We are trying to find a way that we can be compliant and retain our special character." Mrs Tolley said the schools chose to receive government funding rather than be private. National standards were not optional, and the school could explain to parents not to expect children to meet the standards straight away. "Children don't pass or fail national standards – they are benchmarks for continuous assessment throughout the year, so we can identify those students who need extra help." The Education Review Office has started to publish percentages of pupils achieving national standards as part of school reviews, a move labelled misleading by the New Zealand Educational Institute this week because of the differences in the way that schools have implemented the standards.